Noida, or New Okhla Industrial Development Authority, is a planned city in the National Capital Region (NCR). The city boasts of the having the highest per capita income in the entire NCR region. A hot spot for IT and ITES industry, it is home to many top companies. Be Prepared The competitive environment of this IT-rich city requires you to enhance your skills with KnowledgeHut?s Scaled Agile Framework certification in Noida. Of the several courses available online, this one teaches how to implement Scaled Agile Framework or SAFe 4.5 through training and certification. The Scaled Agile Framework training in Noida prepares the attendees to lead Agile transformation on an enterprise level. A New Alternative This certification training program introduces you the Scaled Agile Framework, helps you understand SAFe 4.5 principles and embrace a Lean-Agile mindset. It also teaches you to implement Agile Release Train, experience PI planning, and execute and release value. The Scaled Agile Framework certification in Noida helps you build an Agile portfolio and be a part of the enterprise change initiative. The coursefor Scaled Agile Framework training in Noidaprepares you to undertake the exam and get certified as a SAFe 4.5 Agilist. 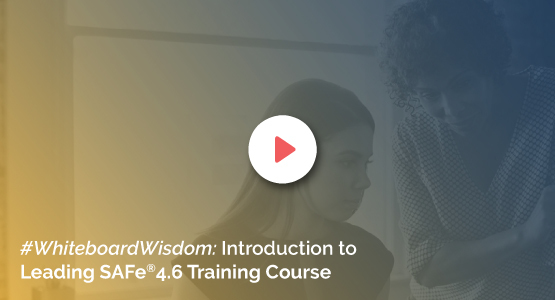 Keeping Ahead of the Curve There are a lot of takeaways for you from KnowledgeHut?s leading SAFe 4.5 online course.As a certified SAFe 4.5 Agilist, you can make use of the SAFe 4.5 principles of product development flow and lean thinking to support Agile programs and portfolios, Agile architecture, and Agile teams. The classes will give you the knowledge and the tools to take your enterprise, big or small, towards assured success. Whether you are an external consultant, leader, or manager with the responsibility to leverage and implement Agile programs, or an internal change agent, this course will benefit you. KnowledgeHut Empowers You The leading SAFe 4.5 certification training in Noida from KnowledgeHut will enhance your skillsets. It will prepare you for new opportunities that come to you as a result of your certification. With this SAFe 4.5 Agilist certification training, you can easily implement SAFe 4.5 for positive outcomes in the field of systems and software development. Attending the classes provided by KnowledgeHut and passing the Leading SAFe 4.5exam makes you eligible to receive SAFe 4.5 Agilist certification. The course is designed by industry experts.